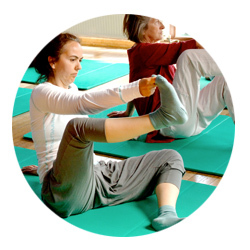 The Feldenkrais International Training Centre (ITC) was the first training centre in the UK, and one of the first training centres to be established in Europe and continues to attract students from all over the world. We are thrilled to announce details of our next training, Sussex 11, which will start in July 2019. The training is located in village of Ditchling, East Sussex, set in the South Downs National Park. 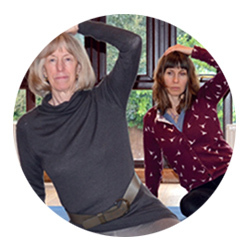 This course is set up to provide an intensive learning experience in The Feldenkrais Method, scheduled as 8 weekends over a one year period and is designed for personal development. Our next training, Sussex 11 will begin in July 2019. The first step in the application process is to attend a Three-Day Course, designed for you to experience the Method in greater depth and introduce you to the training process. During this time our Educational Director, Garet Newell will be available to meet one-to-one and discuss the Training with potential new students. 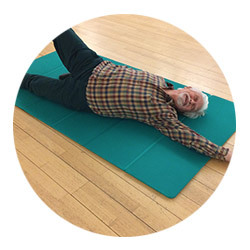 Garet’s profound insight of the Feldenkrais method coupled with her generous and attentive teaching has provided me with one of the most interesting and enriching experience of my life. If I were asked to “trip advisor” this journey I would give it a top rating!! Please feel free to call our friendly staff with any enquiries or send us an email.